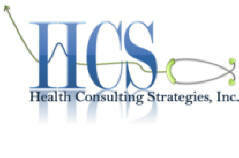 "We turn challenges into opportunities"
Health Consulting Strategies, Inc. has over 80 years of combined experience in the healthcare industry, as well as extensive experience in the Federally Qualified Health Center and Rural Health Clinic environments. We are passionate about our clients' success and are committed to maximizing your healthcare programs and resources. We will provide more than just reports and documents; we will provide practical, useable, deployable solutions that create new opportunities for your health centers.